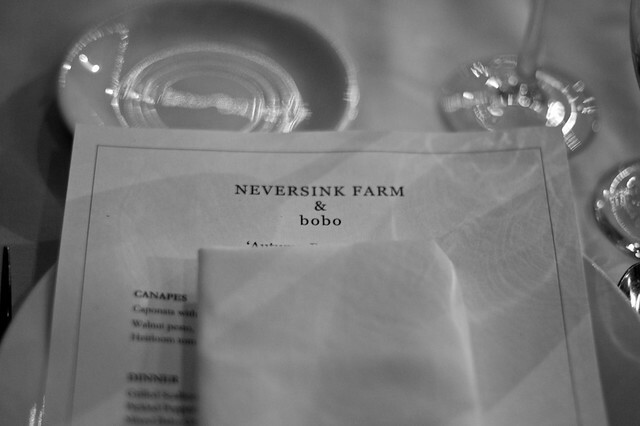 As I quickly mentioned in the previous post, we drove out to Neversink, New York on Saturday for a barn dinner hosted by Neversink Farm and prepared by the staff of the West Village's Bobo restaurant. 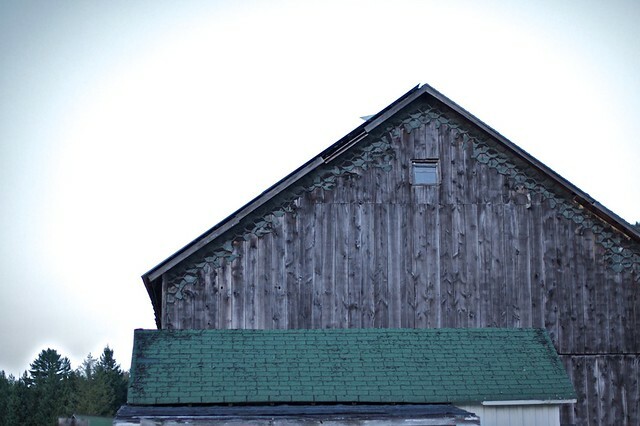 Once we managed to escape the city--which was no easy task--the drive on the Palisades Parkway to the the actual farm was beautiful and serene. I always find it amazingly predictable that once I'm free of Harlem River Drive and the George Washington Bridge, my heart rate calms down and I'm instantly more relaxed. As we made our way further into the Catskills the temperature took a nose dive. 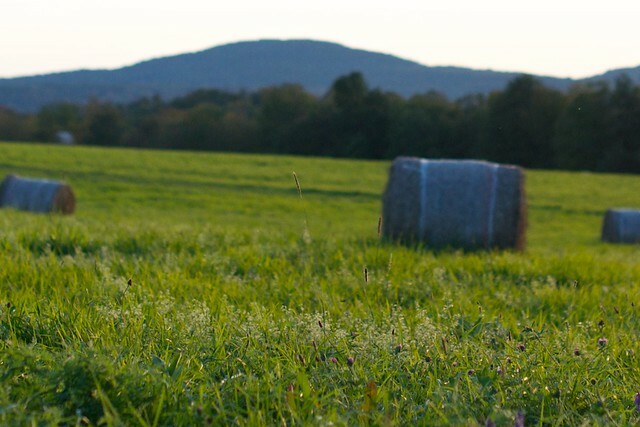 Though we had left an 80 degree Brooklyn afternoon, we arrived to a 58 degree Neversink Farm evening. 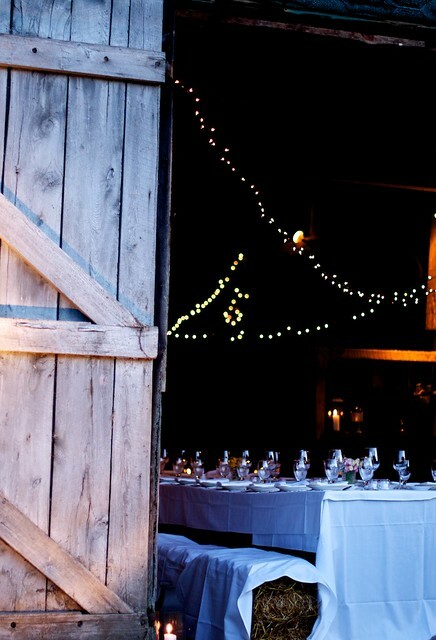 This was chilly weather, but completely ideal for a Fall barn dinner. 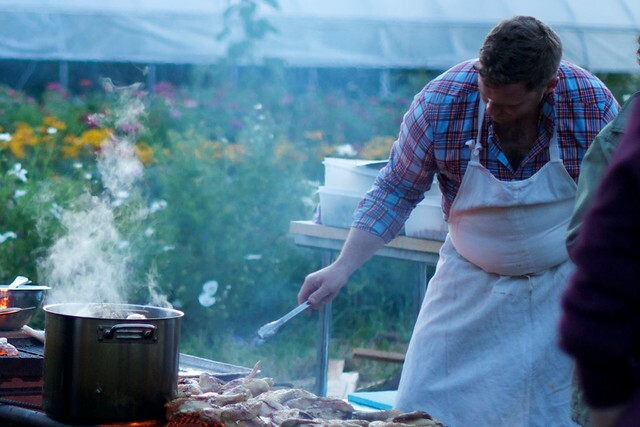 After months of muggy, insufferable heat, we enjoyed the crisp Fall night while wandering the farm's property, greeting the chickens, looking at the vegetable garden, and admiring Chef Patrick Connolly's (and staff's) measured, time-consuming preparations. 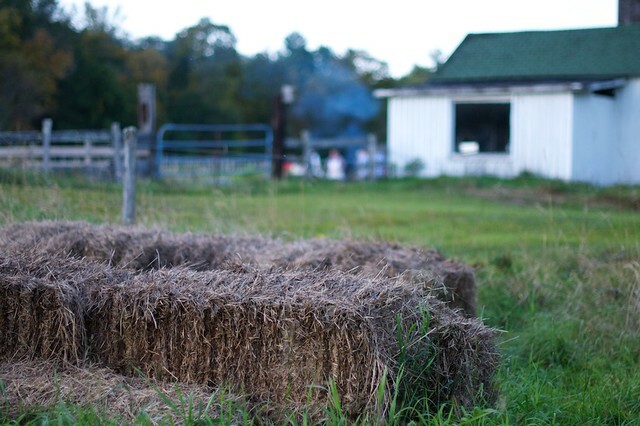 Unlike other farm dinners we've attended where the table is in the field, the beautifully decorated table took up the entire barn, with hay barrels for seats, starched table cloths, vases of farm flower, and strands of lights. 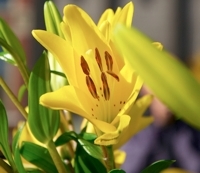 Friendly and welcoming servers floated around the guests refilling glasses of Prosecco and delivering canapes. 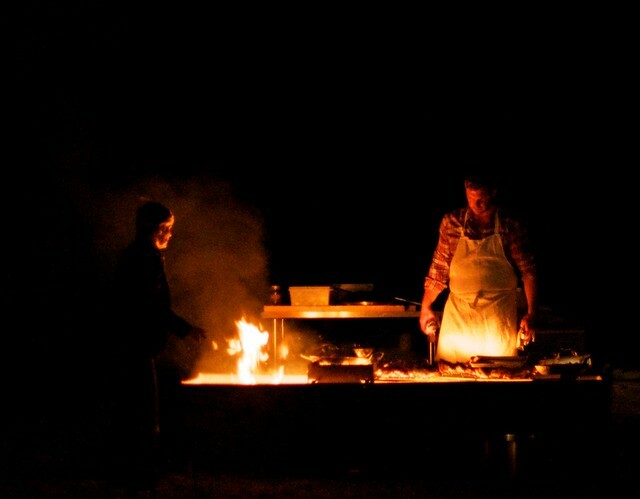 The Bobo team served the dinner family style. It included about 10 different servings of fresh vegetables and roast chicken and potatoes. We left full of food--a decidedly good thing since our drive home took us 4 hours! !